Weight gain and obesity are common problems and diet products and services are a multi billion dollar industry. 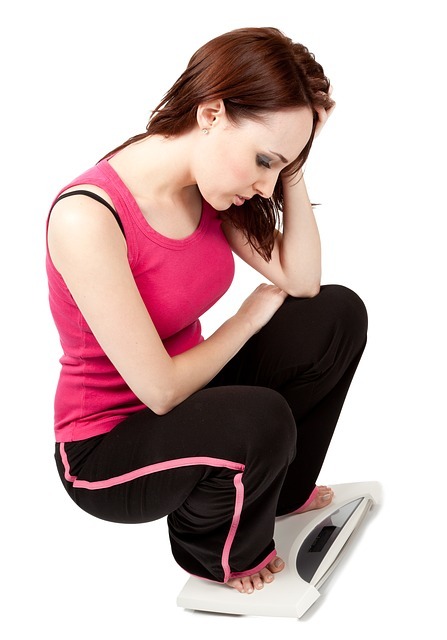 However, if you have unexplained weight loss, this could be a sign of a serious underlying health condition. Here are some of the common conditions that may cause unexplained weight loss and what you could do to prevent, diagnose and treat them. Smoking increases the risk of lung and throat and a chest X ray can give you clues. Chemical and radiation exposure to chemicals or radiation may increase your risk of thyroid and bladder cancer as well leukemia or lymphoma. A urine test and complete blood count CBC can offer some insight. Viruses can also increase your risk for cancer such as HPV Human Papilloma virus being associated with cervical cancer. Hepatitis B and C are associated with liver cancer. Epstein Barr Virus (EBV) is associated with nose and throat cancer and lymphoma. Human Immunodeficiency Virus (HIV) is associated with many different types of cancer. Blood tests for the suspected virus, a CBC and a physical exam can help with detection as well as a pap smear. Doctors need a good history to determine if you are at risk so they order the correct tests. Sun exposure can increase your risk of skin cancer. Get a yearly skin exam and look for spots that have uneven borders and/or changes in size or color. A family history of cancer for example breast or colon cancer would point to look in that direction and a colonoscopy or mammography would be the best diagnostic tests. These are just some of the more common reasons for cancer and unexplained weight loss. Early diagnosis is key to the most effective treatment. CT scans can sometimes pinpoint where the cancer is located and if it has spread. The best way to avoid cancer is to avoid exposure to chemicals and radiation including the sun, eat a Mediterranean type diet low in animal products and saturated fat and high in colorful fruits and vegetables. Get an annual physical and your screening exams. The hallmark of out of control diabetes is excess thirst, hunger and urination as well as unexplained weight loss. This usually occurs when blood sugar is very high and is lost in the urine. This causes dehydration and excessive thirst. Blood sugar doesn’t get into cells, which leads to hunger and unexplained weight loss. Type 1 Diabetes: These symptoms are classic for Type 1 diabetes which is a lack of insulin and an autoimmune disorder, but can also occur in Type 2. Type 2 Diabetes is insulin resistance. You have insulin and the pancreas is intact; however the insulin does not work well and blood sugar rises. To detect diabetes, a fasting blood sugar and hemoglobin A1C in a simple blood test as well as testing for sugar in the urine is all that is needed. Eating small frequent meals with a mix of unsaturated fat, lean protein, and low glycemic complex carbohydrates can be helpful in managing blood sugar. Treatment is essential and may differ depending on the type of diabetes you have. Seek medical advice and once controlled, if you change your lifestyle with proper diet and exercise you may no longer need medication. Follow a functional medicine approach. Hyperthyroidism is another common cause of unexplained weight loss. Tremors, palpitations, frequent bowel movements, nervousness, anxiety, sweating, and inability to sleep and weight loss are the most common symptoms. Hyperthyroidism has several causes. Thyroid nodules or toxic multi nodular goiter can occur due to an overactive thyroid nodule. Feeling the thyroid can be helpful but a thyroid scan will tell you if you have one or more nodules and if they are making thyroid hormone. Grave’s disease, which is an autoimmune disorder. It has characteristic features of bulging eyes when it is advanced, however testing for antibodies in the blood can lead to an earlier diagnosis. Thyroiditis may be caused by a virus or too much iodine. Blood tests that measure the levels of thyroid hormone can help make the diagnosis. High levels of thyroid hormone is a medical emergency and must be treated quickly since the heart can beat so fast that it can’t fill up with enough blood to keep your brain, body and vital organs functioning. The first step is slowing the heart down and doing a thyroid scan and blood tests to determine the cause. If you have unexplained weight loss, consider these possibilities and seek the advice of a trusted functional medicine physician, your primary care doctor or a specialist. Get help immediately. If you catch illness early, you may avoid complications.